I am an organizational consultant, career coach, and author. I run my own consulting firm, Flexible Work Solutions, Inc. I practice and preach flexible work and I can work from anywhere. I am based in San Diego, CA, but I wrote my book during a year’s stay in Paris, France. I specialize in maximizing leadership potential and helping people improve their success and happiness in their careers. I love to write. My book is Flying without a Helicopter: How to Prepare Young People for Work and Life. My Ph.D. is in psychology and, not surprisingly, I love observing human behavior. That is one of the reasons I love to travel. My travel blog is about such observations. I also write a professional blog for my consulting company. I wanted to share my observations about cultural differences with many people. I started the blog to reach many people at once. I also love to write and this gave me the opportunity to have fun with it. I have covered Paris, primarily, but have also written about other European destinations. The main message is to appreciate cultural differences and point out that the “American way” isn’t the only way or always the best way. The blog tends to question assumptions and describe alternative ways of thinking in a tongue-and-cheek sort of way. Having a cultural insight or unexpected experience triggers the ideas for the blog. Getting in the writing mode requires a creative state of mind. It’s not always predictable, so I tend to write when I feel the urge and take notes when I’m not. Due to the personal nature of the blog, it has helped solidify relationships with business associates. By sharing the blog with them, they have gotten to know me better and it is a great conversation starter. It has also helped me to become a better writer to inspire writing my book and professional blogs. I have not monetized the travel blog. 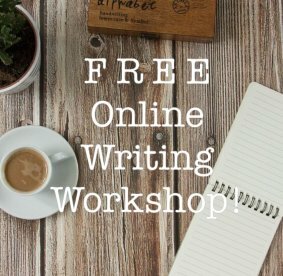 It has helped build business connections and demonstrate my writing capability to people I network with. Have fun with it. If you’re having fun, it will show and others will be interested in reading it.